Dirt Connections provides construction and landscaping services to commercial properties anywhere in Northern Virginia. 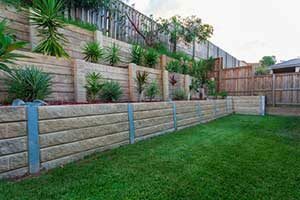 Our reliable and affordable retaining wall development and installation services bring functional support to your property’s landscaping as well as aesthetic value. We believe in the value of property investment and commercial retaining walls are a great way to boost the value of your commercial property. We have years of experience providing retaining wall development services to both residential and commercial property owners in the DC Metro area and a stellar record of open communication with our clients. When considering a contractor for your next retaining wall, look no further than Dirt Connections for reliable service and quality you can count on. 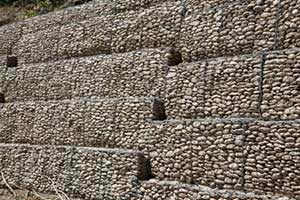 Dirt Connections’ team of experienced contractors are ready to assist you with any project you have in mind regarding commercial retaining walls. We employ a wide variety of tools and equipment, along with superior materials, to ensure your retaining wall is in excellent form. Contact us today to find out how we can make your project happen.